Cool Stuff | Miniature armies, huge time sink. Here’s a neat idea! Never thought of making a dice tray before, but they definitely come in handy! Remove the stand on the backside of the frame. I primed the mdf on both sides black. 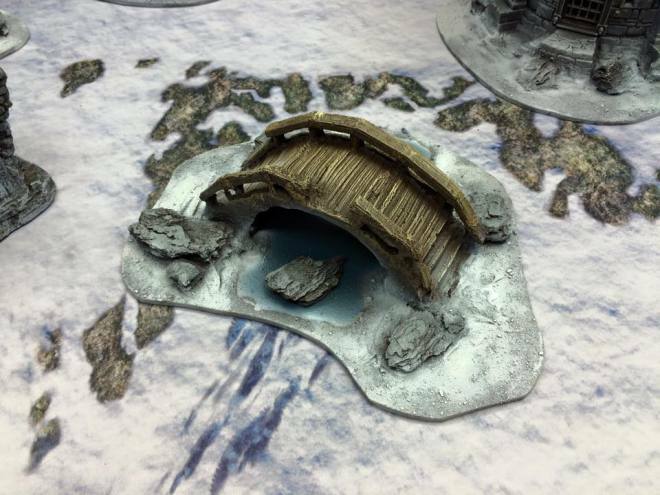 Games I Like – Frostgrave – Putting together an open campaign is a lot of work! 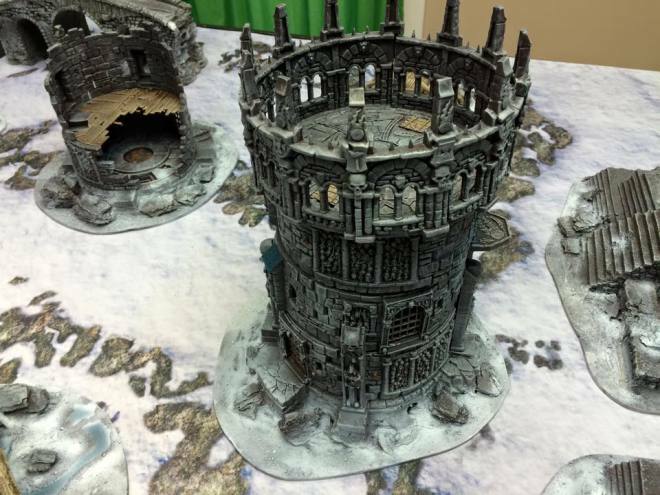 In addition to Malifaux and Infinity, Frostgrave is another game that’s caught our attention! 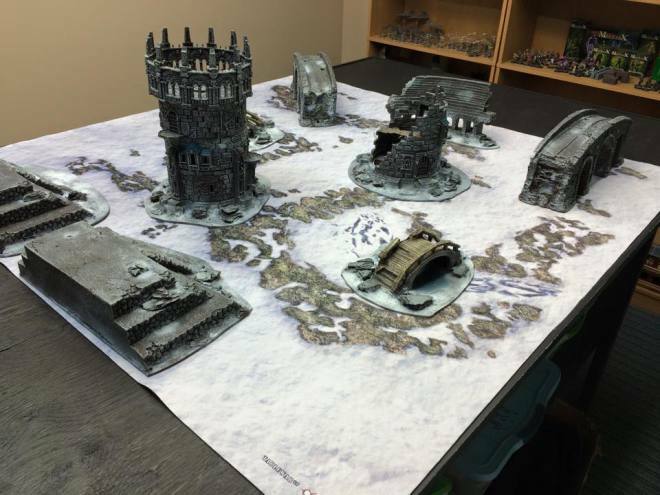 Here’s a great warband and terrain! If you follow me on Facebook you’ve likely seen my real-time progress shots on Frostgrave, Osprey’s new Warband Adventure game, which I’ll be running an open Campaign for at the CoOp. I’m super-excited to get to play and I should have the bulk of the neccessary scenery for it done this weekend. 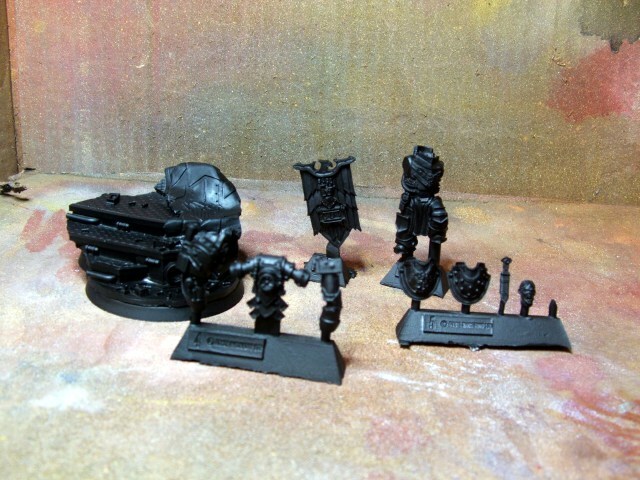 Here’s some progress shots of my Sigilist warband for those that haven’t seen them. 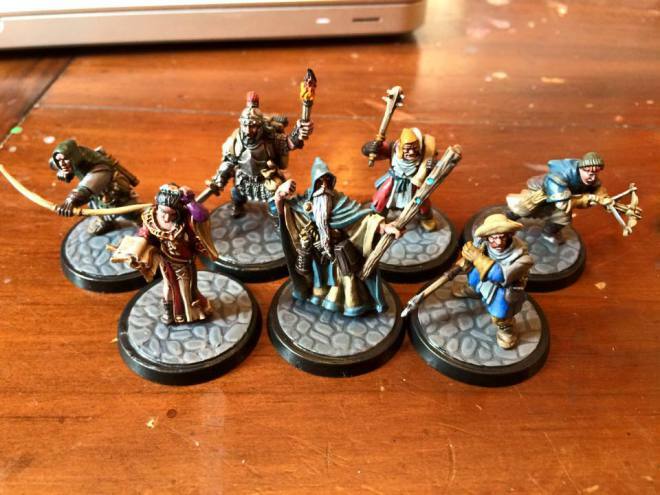 They’re a mix of Reaper, Otherword and the new North Star Frostgrave Soldier plastic box! I’ve also been hard at work on terrain from a variety of sources. It will all be played on a Frontline Gaming Alpine FAT Mat. Fantastic tutorial here on how to paint Marble! Great idea for bases! I had a request to show how I did the marble on Alexis Polux’s shield, so I threw together a quick little tutorial. Hope you like! 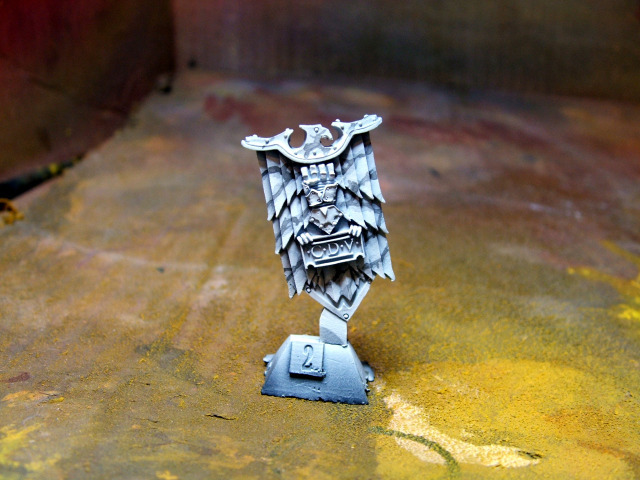 Next, lines were painted across the shield using Nuln Oil. More thinned down Flat White was then airbrushed gently across the shield, dulling down the lines. 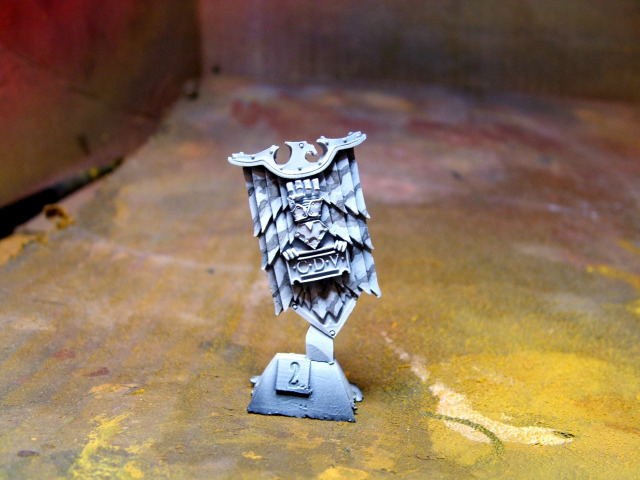 As before, the airbrush was held at an angle to the shield to maintain the darker colors in the recesses. 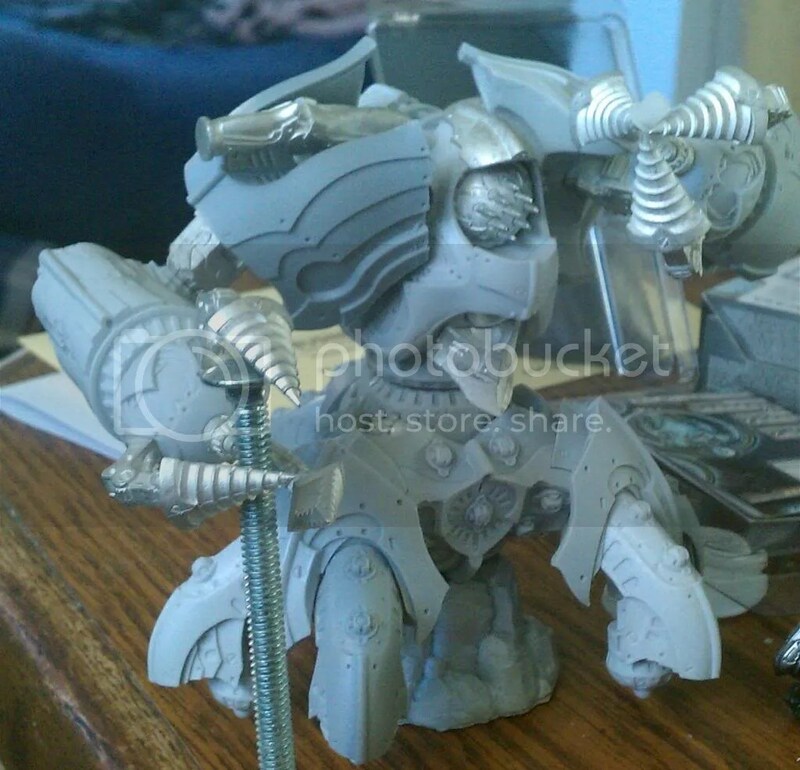 I haven’t been on the Privateer Press Forums in months, but today decided to pop back in for a bit. The parts I hate are even worse now. Blech. A geniune LOL was had. Check out the thread. 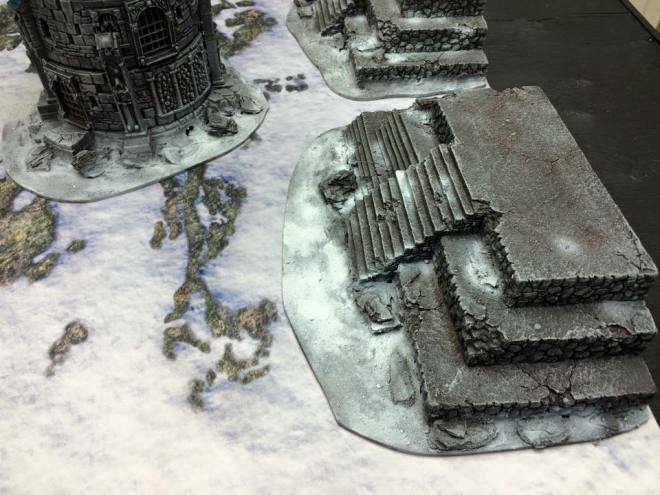 [How to] Foamcore Terrain, courtesy of Combo Smite! 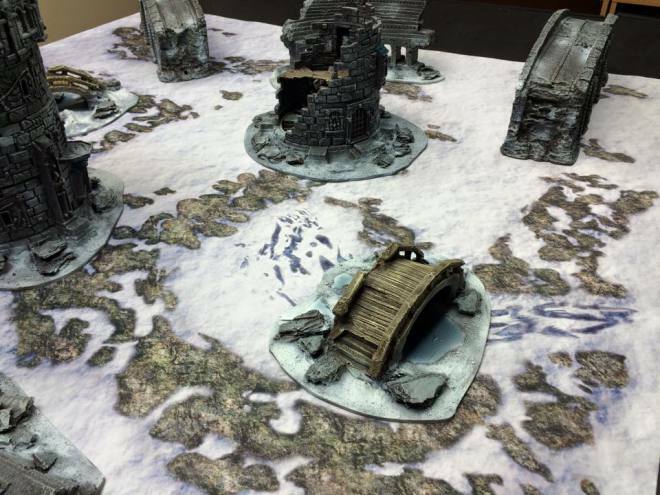 The folks over at COMBO SMITE has some really sweet foamcore building plans available for your table! I got the materials to build these over the weekend, so be on the lookout for some pics when I can finally muster up some time to actually do it. These are perfect for Infinity (the game I’m currently crushing on as you know) and probably even Malifaux (another game I wish I could play more of). If you’ve been following Privateer Press’ Insider newsletter, then you are probably aware of pins that they are going to start having for convention exclusives. Now I don’t really understand the whole pin collecting craze thing (I’m also not a big knick-knack collector in general), but I’d be lying to you if told you I wasn’t going to get a Kreoss or Crusader pin (and a Rhyas if they ever make one) for my gaming bag. Check out their just launched Pins site here, and be on the look out come June 2014! Creating a Custom Caster for Feat of Service! Come June 7th, our club is going to have its first annual Feat of Service custom caster/spell draft charity event, all to benefit the Wounded Warriors Project. You can check out the full rules and what not for the event here, but the coordinator of the event asked a couple of us bloggers to write about our drafting experience and thought process while coming up with the caster we’d be fielding. I’m one to play things more “in the spirit of” the events, so this isn’t going to be an exercise in how I can game the system to produce the most ball-breaking, busted, broken caster possible. That’s not really fun to me (or opponents I’m sure). Let’s see what I came up with! 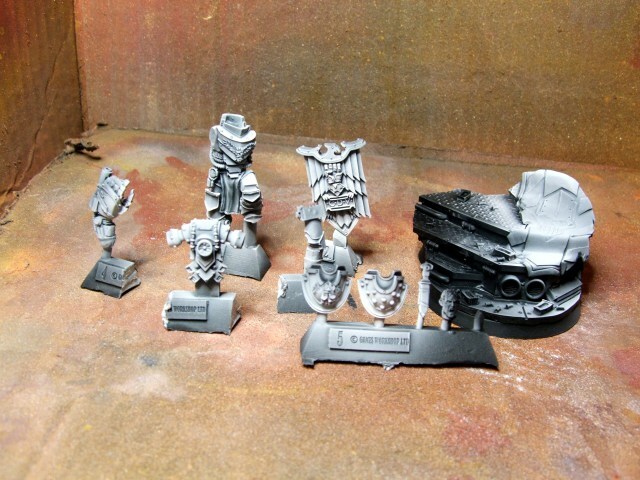 I know I don’t typically post a lot about Warhammer, but these models! And terrain! WOWZA!! Its been ages since my last post and I’ve been anxiously wanting to put this post up for some time. However due to life etc I’ve not had the time. Let me assure you, it’ll be well worth your wait. You’re all in for a very special treat today, the wash up of my 30k Horus Heresy comp that I ran at the beginning of March. The Emperors Legions. 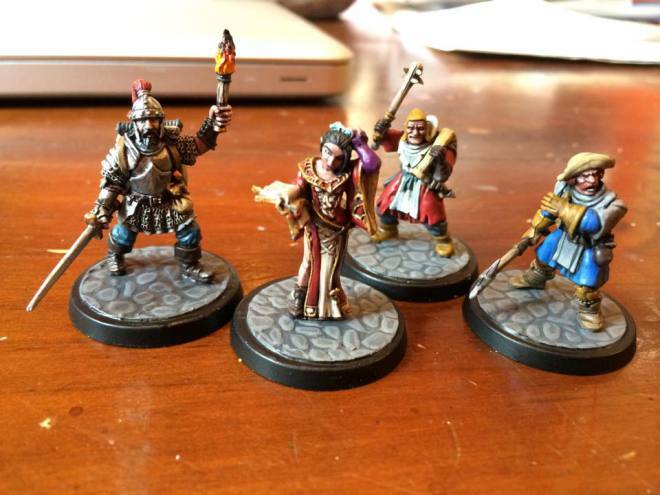 Check out this idea for some great and quick objectives for your games! Two of the key components of Steamroller scenarios are objective markers and flags. Normally at club we use cardboard tokens cut to the appropriate size and a D20 to mark damage, which is ok until either the dice gets knocked or a stiff breeze moves the token.